Find and compare the best prices from a range of well known car rental companies at Sabiha Gökçen Airport. This is a free to use facility, enabeling you to book direct with the company quoting the price. 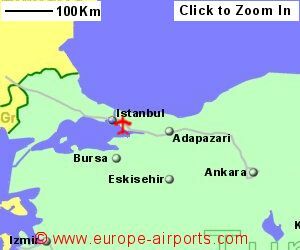 Sabiha Gökçen Airport, otherwise known as Istanbul Airport, is located 30 Km south east of Istanbul (the Asian side), Turkey, built to take the pressure off Istanbul Ataturk. 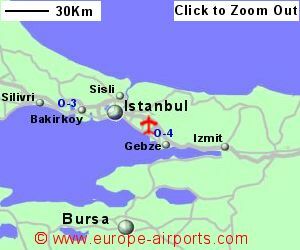 Sabiha Gokcen airport has two terminals, international and domestic, located less than 100m apart. The International terminal opened in 2009. Public transport buses depart every 15 minutes for Istanbul and taxis are available. The Sea Bus Port located 8 km from the airport gives access to Istanbul and other local towns by boat. Sabina Gokcen airport has 5 bars/restaurants, a bank, 7 shops, post office, a baby care room, and VIP lounge. 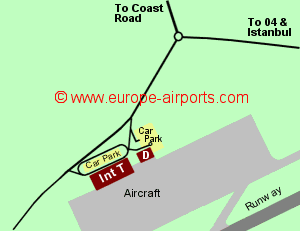 The ISG Airport hotel is attached to the airport terminal. Passenger numbers totalled 31.8 million in 2017, an increase of 6% over the previous year, and the airport's busiest year yet. This is the second busiest airport in Turkey.